Systems is one of those things that we love or hate as bosses, and we can find ourselves wondering if we need more of them or different ones. And Jordan from Systems Saved Me is here to help us today talking about finding clients and essential client systems. There’s a lot of questions I get, but there’s one that I seem to answer a lot lately…about onboarding systems. People seem to be obsessed with thinking they need a fancy onboarding system, or other totally fancy pants systems. That’s why I invited Jordan Gill to join us today – as she’s a total system pro and she’s had some amazing experiences as she’s grown her business. Operations Consultant and Host of the Systems Saved Me Podcast, Jordan Gill takes pride in saving hours (even days) around time-sucking technology decisions and an untrained team. She has been on the stages of She’s Building Her Empire, Creative CEO Conference, Success Without Sacrifice, Blog Like a Boss Brunch, and Vision Casting while also being featured in Belong Magazine! She’s also had the pleasure of being interviewed on Creative Empire Podcast, Profit Planner, The Real Female Entrepreneur, Business Building Rockstars, Kickass Masterminds, and CEO Stories. Jordan lives in Dallas with her cocapoo Vivienne and loves to indulge in some true southern bbq. I strictly do VIP weekends. Right now, I’m doing about two a month and that feels really good and fills me up. The weekends are for people who scaled really quickly to a really great recurring revenue and realize they left a really big mess behind. My team is dropping balls because I didn’t name things correctly or I have to fix my Last Pass every five seconds (or they don’t even have Last Past). I help those people put processes in place and start to clean up a lot of the organizational/admin/process side of their business so their teams can run more efficiently. How did you end up at the point where you offer VIP weekends when most service providers talk about retainers or projects? I hate ongoing, so my number one rule in my business was not to do any ongoing work. After going through three launches at the same time in my business, I started doing intensives (four hours for $3k). I’d go over their entire client management process and implement it for them, which helped me with my unique selling proposition because most people will just talk you through it. I’m a very speedy person, so I wanted to use that to my advantage, so I would do up to eight intensives a month, and I was really happy with that. I had higher tier clients that needed me for around three months projects, so I’ve been doing those for a little while as I transition to just the VIP weekends. One-on-one VIP weekends ($4500) and $2750 in a quad. I didn’t want to be on team meeting every week or ongoing coaching calls. Having a million dollar business doesn’t mean all that much to me. If you think about what you want your life to look like first before thinking about the money part. Through the evolution of your services, what has been one of the most challenging parts of that? The marketing side of it because it’s not really a strong suit of mine. I got clients for my intensives by going to events, but I was really going to these events to connect with referral partners. I figured out who my clients are talking to and sought out events that these kinds of people would be attending. I knew I would be a benefit to them because they don’t want to deal with the things I deal with. I was able to build a really lucrative referral partnership as my marketing tactic. There was a time where I had zero clients and no money coming in. I saw some stuff come to fruition and realized this is where I need to double down. That’s when I started focusing on events as my main marketing source. With ongoing work, you don’t have to market yourself as much as when you have something like intensives. Let’s talk about these 32 events you went to. How did you make it work for you? I figured out how much I was willing to spend, and since I’ve moved around so much in my life, I know a lot of people in a lot of places — which is a huge benefit. When I was looking at events, I tried to find those where I knew someone I could stay with OR my biz bestie could share the cost of hotel expenses. I also have Southwest credit card, and I’m a Southwest diehard, so I don’t fly any other airline except for Southwest. I’d use my Southwest credit card and get points and use those points for my flights. I was strategic about those kinds of things so that it wasn’t this huge expense, and I could get the most out of the events as possible. A lot of times, I’d make arrangements and organize dinners to network with people with whom we have common connections. People were so grateful for these gestures — even when I didn’t didn’t pay for dinner; I just put it all together. That’s how I really started to build relationships. If you have a service-based business, what the biggest systems we need to work on? Any client-facing systems — anything is directly affecting your clients and your client, meaning your client onboarding (contract, invoicing, questionnaire-gathering aspect of your client management). Calendar scheduling is the other part to focus on. It’s really important that you set a great example to your clients because that’s how you get referrals, that’s how you get repeat clients. The main two systems is how are you taking on pre-client calls and how are you bringing on your clients and making that process as amazing and simple as possible. You want your clients to have a consistent experience time and time again. If we’re not systems people or super methodical, where’s a good place to start? I have what I call ‘The Quadrant’ and you create four squares. First Quadrant: What is it that you’re good at and you enjoy? Second Quadrant: What is it that you’re not good at but enjoy? Third Quadrant: What are you good at but don’t enjoy? Fourth Quadrant: What are you not good at and don’t enjoy? Writing down tasks in all those quadrants and the first things that you should get off your plate are in that fourth quadrant. You have to consider your priorities while looking at these tasks to see which ones are important to address. So you know KNEW I was going to talk about going to 32 events as a lesson. Now, I’m not suggesting that you to to that many events, but did you hear how Jordan did the work to really make an effort to expand her network and meet her potential clients (and referral sources) where they are? Jordan’s very well connected because she got out from behind her laptop and invested her time and money. That has paid off in spades for her. Jordan shared how she has evolved her services over the years to meet her needs and address client needs. She’s now doing VIP days, but she’s offered a variety of services over the year, and was willing to change things up to better meet her needs. She realized she didn’t like ongoing client engagements so she’s pivoted her business to ensure that she doesn’t offer those services. Systems. 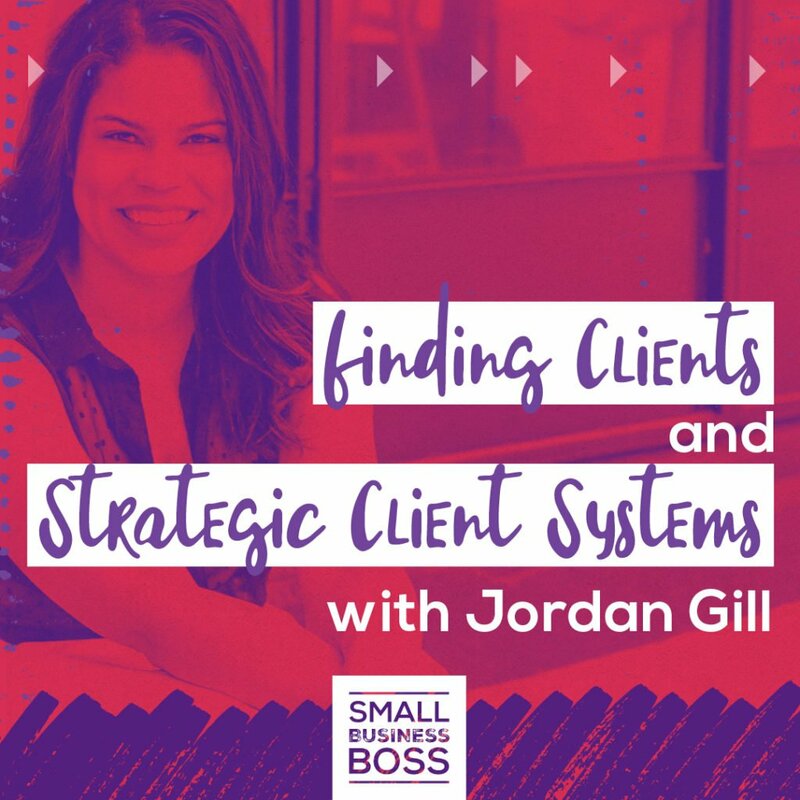 Jordan is a whiz at systems, and she called out two main systems that you should have when you work with clients: a systems for taking on client consult calls, and then your onboarding system. She used a word I love in talking about what that should be SIMPLE. It needs to wow your clients and not make them doubt you. You want them to feel excited about working together!